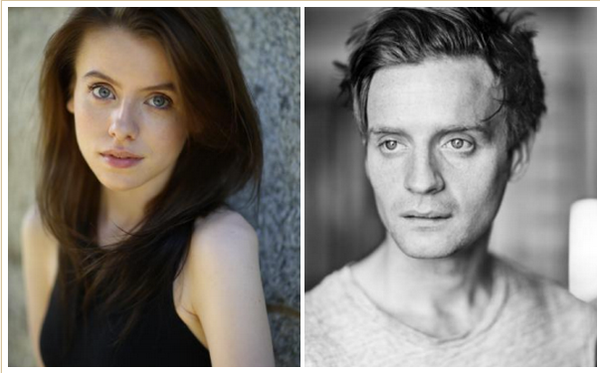 Rosie Day and Andrew Gower have been cast in the second season of Outlander! So far, Jamie and Claire’s French adventure involves a member of French court, Jamie’s cousin, a mysterious healer, and now, a young Englishwoman. EW can exclusively reveal that Rosie Day has joined Outlander’s second season as Mary Hawkins, the daughter of a minor baronet and the niece of Silas Hawkins. Engaged to a member of the French nobility, Mary, who struggles with a nervous stammer, finds herself being used as a pawn in the power plays of her elders. Additionally, it’s also been announced that Andrew Gower has joined the hit show’s second season as Prince Charles Edward Stuart, along with Romann Berrux being cast as Fergus. Charles Stuart, the young heir to the exiled Catholic royal dynasty, is plotting his epic return to the throne. Meanwhile, Fergus is a young French pickpocket who is incredibly loyal to the Frasers. Welcome to France, Jamie and Claire. Things are already getting complicated. Glad to see the casting is going well. Can’t wait to see all of them in Season 2. Best Wishes to everyone. just the way i pictured them, especially Mary, she’s beautiful and looks perfect for the role! Reblogged this on Ana Fraser Lallybroch Blog. Perfect Mary Hawkins. Beautiful yet petite and fragile looking. I don’t like the picture they used for Andrew Gower. He looks like a cadaver, but I am sure he will be marvelous in the role.